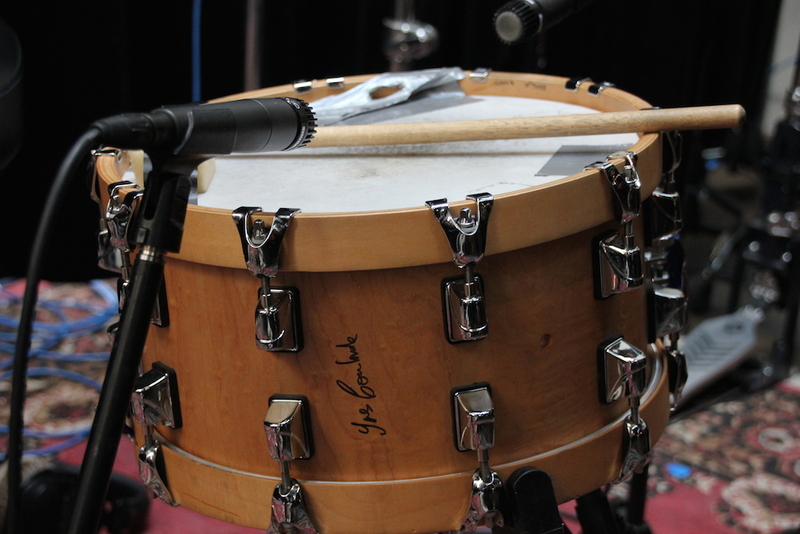 A collection of high-quality snare drum samples recorded and mixed 100% through analog gear. In total, 11 snares were recorded in 3 different mic locations. The recordings were then mixed individually as well as being layered with drum machine sounds, giving you a ton of colors, textures, and variations to use in your recordings. License 100% Royalty-Free. Use them in your tracks without having to worry. As you’ll see from the demos below, Analog Snares can work in any genre or style of music. You’re limited only by your imagination. Analog Snares was recorded at the Beautiful StudioPM, located in Montreal Canada. In total 11 unique snare drums were recorded through 7 mics in 3 different locations using various pieces of vintage and modern recording gear. After the snares had been recorded and edited, they were sent through an analog chain using all, or some of the gear, depending on the objective of the final sound. With Modern Samples, quality is without a doubt the #1 priority, and when it came to mixing, no stone was left unturned. All the contents are neatly labeled & organized inside a total of 7 folders. This not only allows you to find what you need quickly but also makes it easy to find something that inspires you to create. Clean 69 The clean samples comprise a blend of the top and bottom mics with some light compression and EQing. Dirty 99 The dirty samples are all the recordings from the Vintage U67 Mono Overhead setup. During the mixing phase, they very sent pretty aggressively through the Chandler EMI TG1 Limiter on compression mode and also run through the API A2D Op Amps for extra color. Game Over 52 Game over is the best way to describe these, and when you hear them, you know exactly why. There is no science to these blends and mixes. The only thin I can tell you is that any and all mics were used as well as drum machine samples to give even more texture and flavor. Layered 97 The layered samples are just the close mics and drum machine samples fused together, to give the original samples more attitude. Most of these samples were recorded and mixed in mono to ensure they cut through even the densest of mixes. Punch and Click 52 The punch and click folder is a randomization of any and all recordings that were sent through the Chandler TG1 Limiter on FULL Compression mode. Need some more click or point on your snares? This is where you want to look. Rimshots 34 We attempted to record as many rimshots as we could, and this folder is the result. There’s some obvious FAILS in there, but the samples still sound interesting, so we left it. Textures 37 This is a personal favorite of mine. Ever wanted to add depth or texture to your boring flat snare sounds but reverb just wouldn’t cut it? This folder is going to be your best friend. There’s a combination of room mics, overheads, tambourines, and light drum machine samples all mixed to sound softer than a regular snare drum sound. This is so they fit nicely behind your main snare samples to give them “texture”. Try them; you’re going to love them!